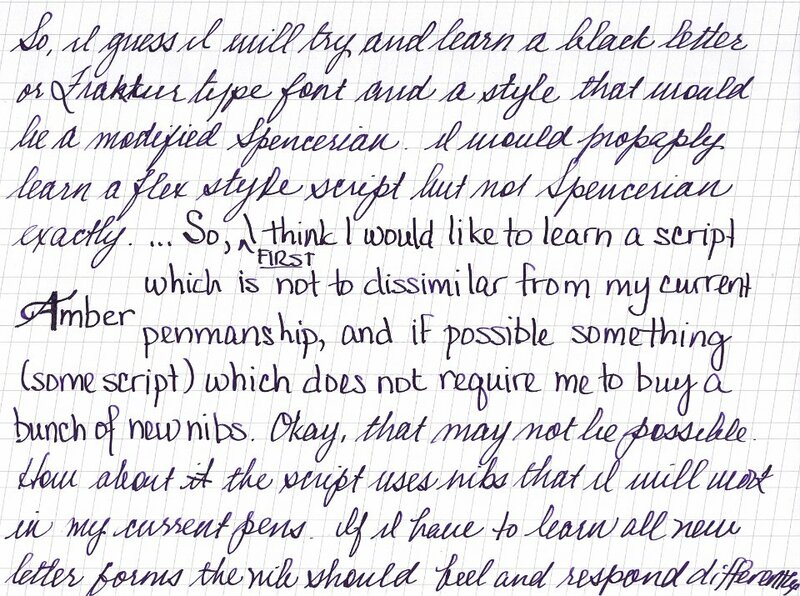 Inky T O D - Ink Pen Paper And Handwriting Musings #4 - Which Script Do You Think You Will Learn To Use? 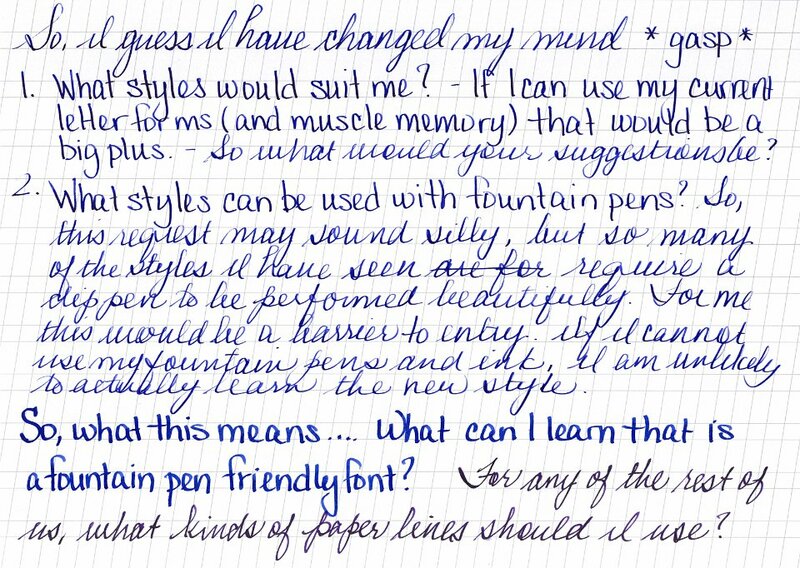 Which handwritten script do you think you will learn to use with fluidity? Or which script if any will you attempt to learn? 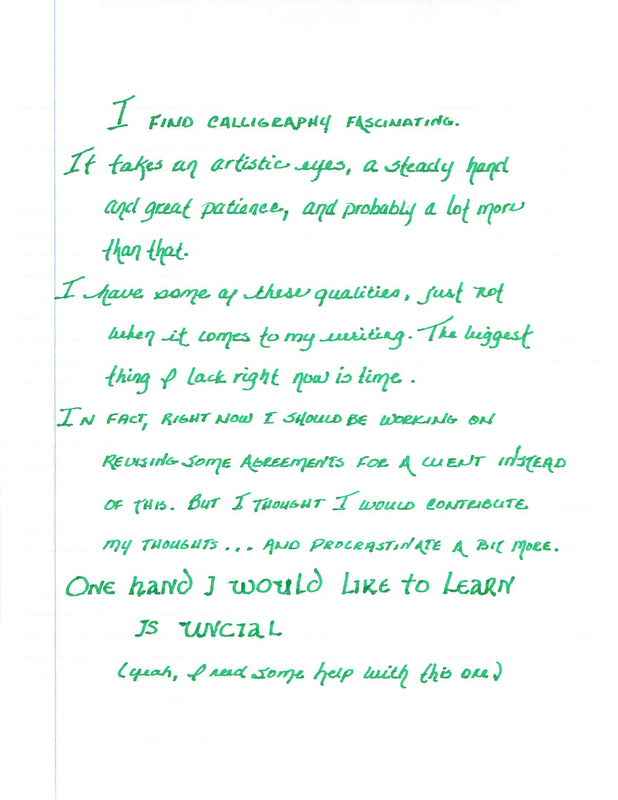 I get something out of doing this kind of absolutely freehand calligraphy. Not sure why I like it, but I do. I keep toying with going back to pointy u, v and w lately. The round versions are easy and comfy, and they offer more serif chances than pointy does. Too hard to get huge flourishes to fit a pointy version. You can take the i/j confusion in my hand from my cold dead hands tho. 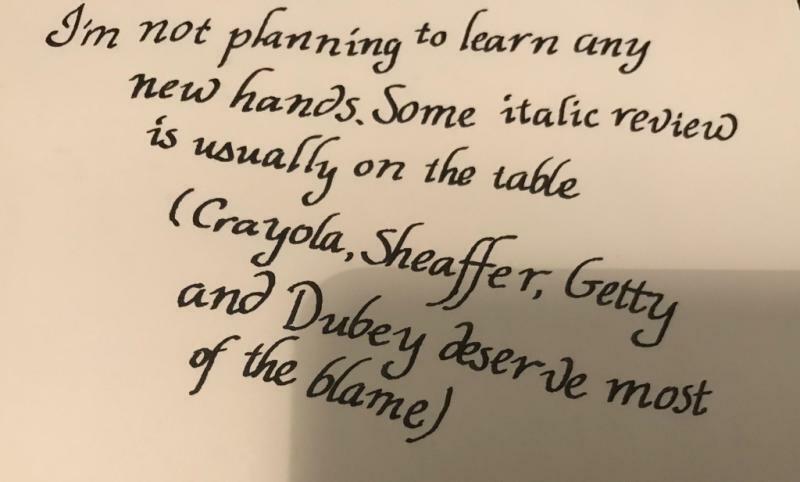 Theres some really great lowercase bs in this sample. Im often unhappy with them because the kerning tends to go nightmarish. But I think I got the b about right. And I worked in some tricky ligatures. The paper/ink combo is a bit feather prone. I havent worked out how much of the blobby feel Im fighting is feathering yet. And yes this ink bleeds and feathers terribly on this paper using this pen. This was the first time I have tried this pen/ink/paper combo. I won't make the mistake again. 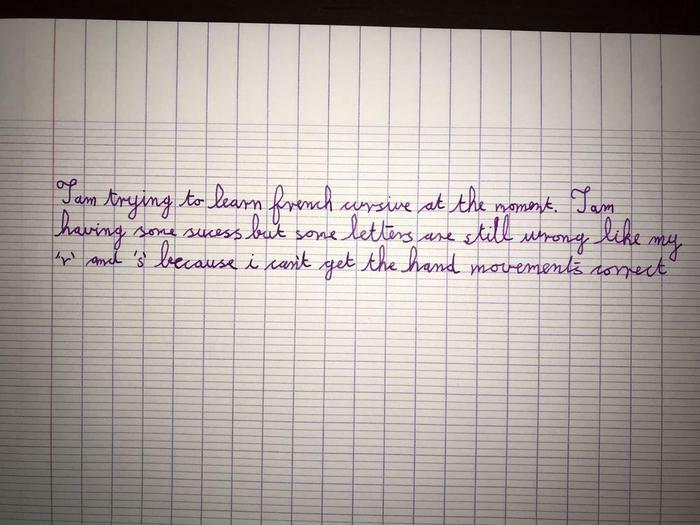 I am trying to re-create the Roundhand style I was taught in Grade 4, for one year. I cannot find any examples which contain all the letters in the form I remember I was taught. I seem to have elements of Zaner Blose, Palmer, Vere Foster and something that was taught to Portugese speaking children. 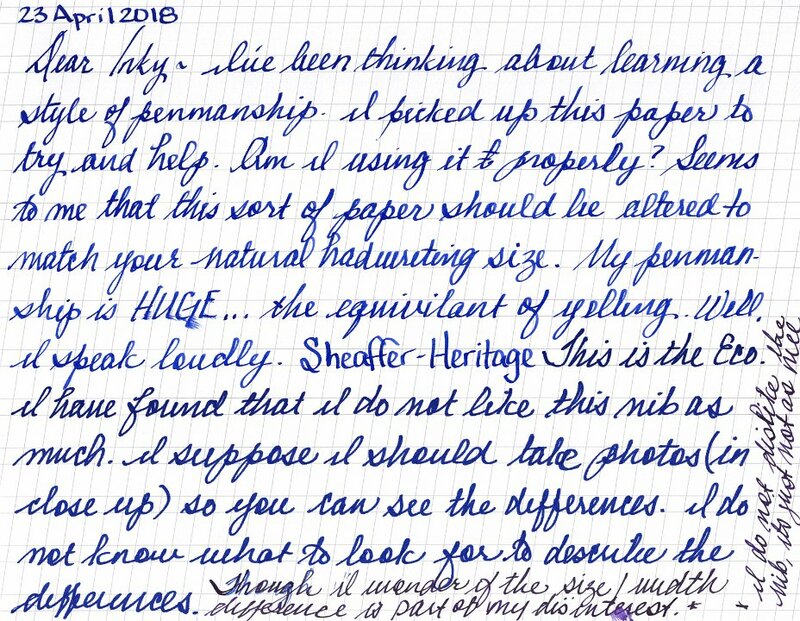 The next year, at a different school, I was taught what was then called Modified Cursive, a style of Italic, which I still use. So, I realize that I need to try and learn a style that for me has the lowest barrier to entry. For me, the barriers, are the financial costs and the time costs.  Barriers to entry are the existence of high startup costs or other obstacles that prevent new competitors from easily entering an industry or area of business. ... Common barriers to entry include special tax benefits to existing firms, patents, strong brand identity or customer loyalty, and high customer switching costs. I can not decide and its workong my nerves. .